Why “That River Gonna Rise”? 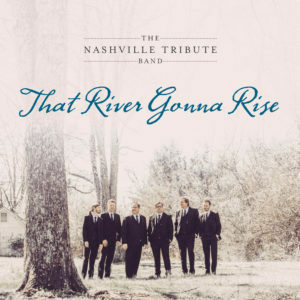 The video for the new song “That River Gonna Rise” by the Nashville Tribute Band just came out last Friday. I’ve been asked a time or two why I wrote this song. Well, let me tell you. I’ve always been fascinated with rivers and streams, creeks and brooks. Just any water that moves. As a kid I spent thousands of hours walking every square inch of the creek that ran along the west side of my neighborhood and I would walk the mile or two along that creek until it emptied into the Canadian River. I spent countless days and hours on that sandy bottomed river. Some time around 1985 or so the Canadian rose, and rose and rose and swallowed houses and golf courses and everything it could get’s its waves upon. Waves higher than a two story house carried 30 foot tall cottonwood trees whole down the river at race car speeds. It was awesome and terrifying at the same time to see places I had never imagined the water could reach then beneath 15 feet of angry water. Behind my house in Tennessee is the Little Harpeth River. We built our house on the high side of the bank, on the rocky side. We love climbing down the rocky path from our yard to the waters edge where our Labrador and our kids have waded and swam hundreds of hours looking for crawfish and splashing, smiling and laughing. That little river is usually about 12 feet wide and up to your chest at the very deepest part. However, in 2010, no one ever dreamed that Middle Tennessee could be consumed with a flood like the one we experienced. That usually gentle and tranquil little river was over 20 feet deep and as it spilled over the banks and overtook the pastures across the river it kept going until it took out seven houses a quarter miles from us, and that little river was so wide you could barely see the other side. The little rivers became huge flowing into the larger rivers which became deadly and they all flowed into the Cumberland River that destroyed a significant part of Nashville forever, including taking a frightening number of lives. As we watched out the back windows and watched the news of the calamity around the city, we were certainly grateful to be on the ricky high side of the Little Harpeth. Truth be known, if one of those houses that were swept away was for sale and brought to our attention in 2002 when we built our house, we would have bought it, never imagining that that little river could ever possibly reach that far. Whether you are a Christian or not, the words of Jesus in Matthew Chapter 7 that suggest that we build our houses upon a rock and not upon the sand is certainly proven to be sound advice in my experience. But this truth certainly applies to far more than houses. When we build our lives, and our relationships, and our confidence, and our work habits and our love and attention to others on a solid foundation that cannot be shaken, weakened or fragmented by the storms of life that will without question reach us all at one point or another, then we survive to fight, live and love another day. I wrote this song because all over the world there are creeks, brooks, streams, tributaries and rivers. And at some point, they all rise. And when they do people are effected. While the human experience may be different in various areas of the world, the rivers (which are the lifeblood of regions all over the world) at some point are gonna rise, and how prepared we are for that day, is how well we survive the flood. I didn’t write this song to warn anyone. I wrote to hopefully make us all think, so that we can find what our rock is, and make sure that the feet of our families are firmly placed on that rock.